For many students it’s the 100th day of school this week! That’s why we created a fun and informative lesson for your smartboard about this special day. Refresh your student’s understanding of the number 100 with the “100th Day Activities” lesson and show them how much time has elapsed since school started! This new lesson is ready to use! Click here to open this particular lesson. 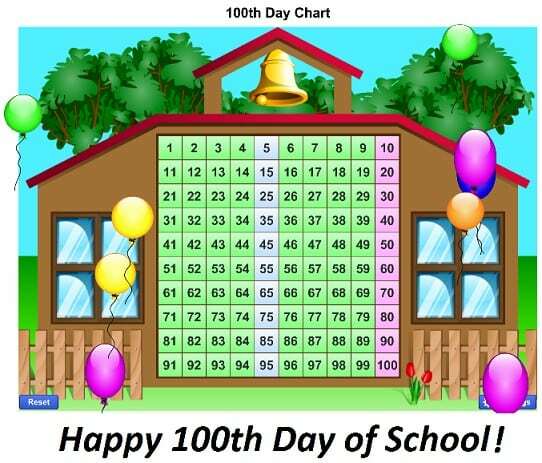 It starts with the 100th Day Chart to show your students for how many days they have actually been in school since the beginning of this year! Then it’s time to refresh your student’s understanding of the number 100! 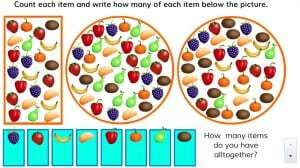 Sort 100 objects into different groups and count how many items there are all together. 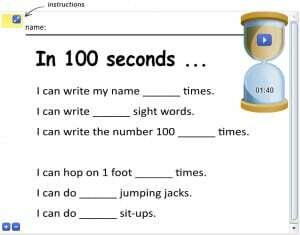 Let your students write down what they can do in 100 seconds by making use of the timer. How many times can they write their name in 100 seconds? Or how many jumping jacks can they do? 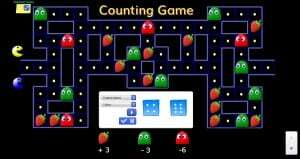 At the end of this lesson students can practice their counting skills with the counting game. Try to get as many strawberries as possible to get to the exit sooner and avoid the ghosts! Excited for the 100th day of school and want to use this themed lesson plan in your classroom? Click here to open this lesson and try it out by yourself!